The Cygnus space freighter was pictured July 15 , 2018, poised for release from the Canadarm2 robotic arm back into Earth orbit ending a 52-day cargo mission at the International Space Station. NASA astronaut Serena Auñón-Chancellor has been contributing to pharmaceutical research since the arrival of the AngieX Cancer Therapy experiment July 2 inside the SpaceX Dragon cargo craft. Today, she is examining endothelial cells in space to help determine if they make a good model for targeting the vasculature of tumor cells. Results may improve the design of safer, more effective therapies targeting cancer tumors. NASA astronaut Ricky Arnold has been loading Dragon with hardware and science samples today ahead of its return to Earth on Friday. Results from the AngieX cancer investigation will also be stowed in Dragon this week for retrieval and analysis on Earth. Robotics controllers will release Dragon from the grips of the Canadarm2 Friday at 12:37 p.m. EDT as Auñón-Chancellor monitors from the Cupola. Less than six hours later, the commercial space freighter will splashdown in the Pacific Ocean off the coast of Baja California. 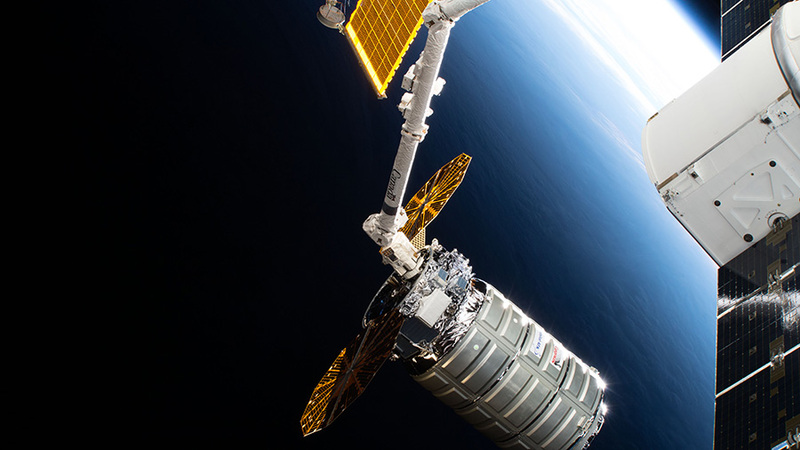 Another U.S. cargo craft, the Northrop Grumman Cygnus resupply ship, released from the space station on July 15 is getting ready to end its stay in space today. The Cygnus was detached from the station’s Harmony module in mid-July and has been orbiting Earth for engineering research. It is due to burn up harmlessly over the Pacific Ocean at 5:07 p.m. today.